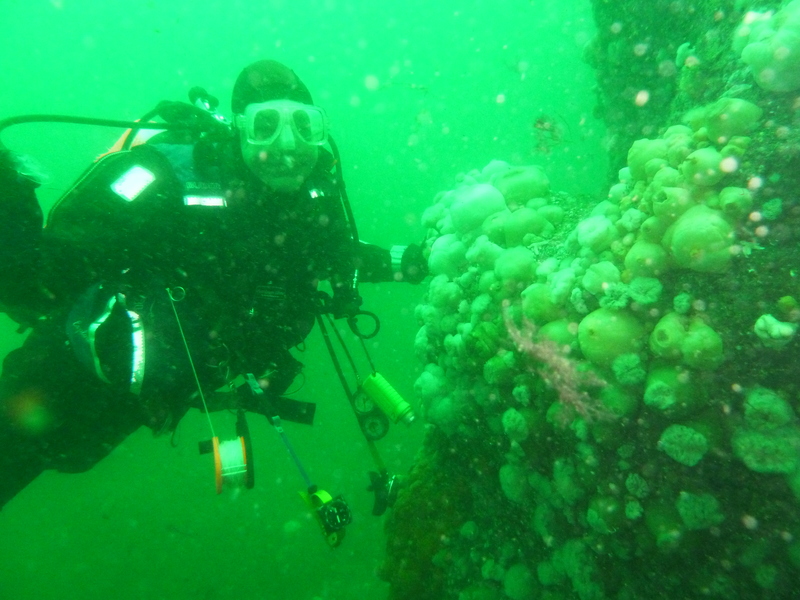 With a few people on holiday it seemed a good idea to try the commercialism of St Abbs for once and get a few people together to book individual spaces aboard one of the many hard boats that operate out of the harbour and enjoy some easy low hassle diving. Ringing Paul Crowe from Rock House and DiveStabbs, it was easy enough to arrange a couple of dives and with ropes off at 09:00am, five of us made an early start and arrived in plenty of time to find Paul, join a group from Sunderland and help with the task of loading tanks and bags aboard “Tiger Lilly” before the short trip out to the dive sites. Regardless of the fantastic weather we experienced, a rather large swell albeit on an otherwise calm sea was rolling in from the North, breaking heavily on the shore and skerries and promising added spice to the days diving, it was not therefore surprising that the more experienced members of the party had kitted up and were sitting ready to dive before we had left the harbour ! 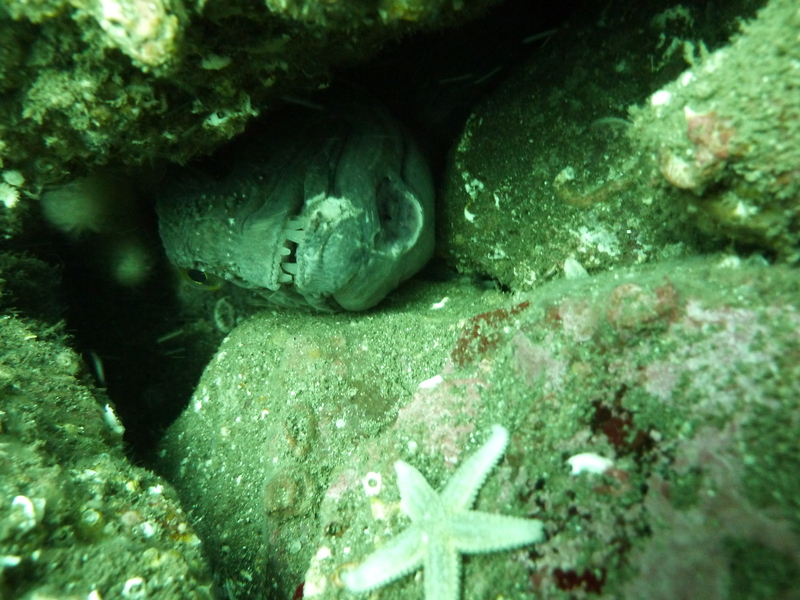 The first dive of the day was Anenomie Gullies off the Skells and while I dived with Steve, Colin joined Gary and Izzy. 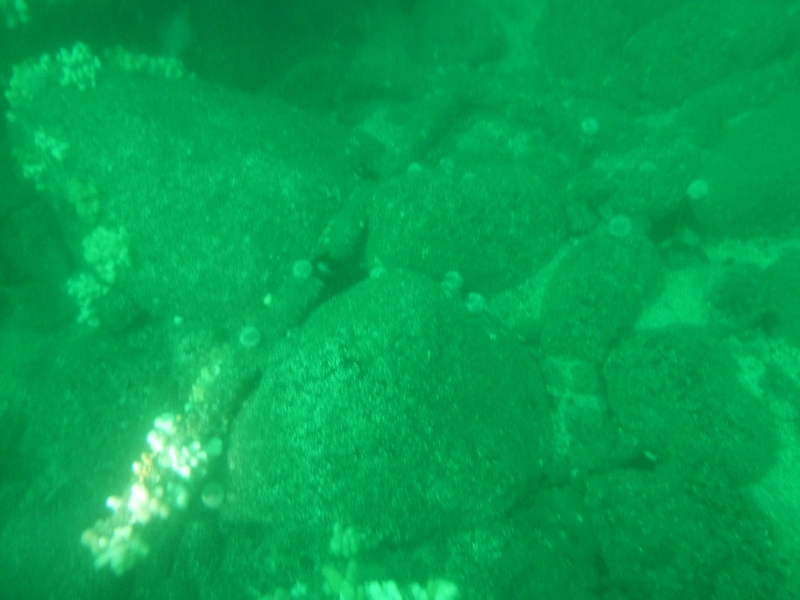 After shuffling across a pitching deck, like a drunken penguin we flopped into blue water and made a free-fall descent to hit the top of gullies at 18m which were encrusted with deadman’s fingers and an amazing variety of anenomies. Luckily it was a marine conservation area. 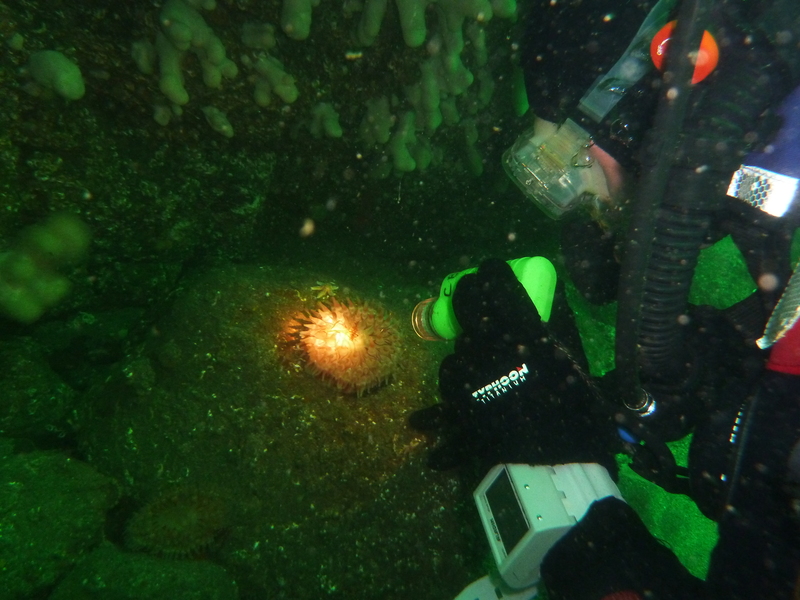 The viz was initially a little disappointing with particulate matter in the water column but this improved with depth as we swam seawards, soon the anticipation of finding life in every nook and cranny took over as the swell moved us to and fro along the gullies. 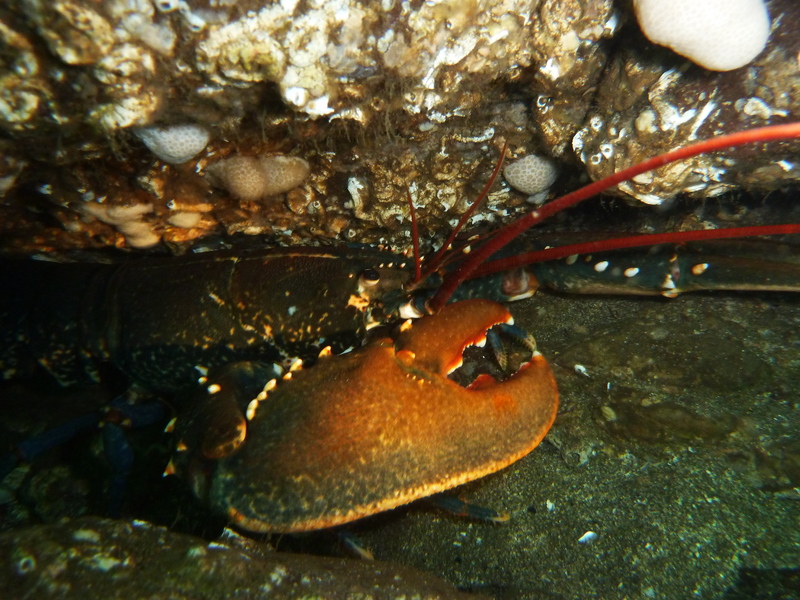 A lobster provided a bit of sport as we teased it out of its lair before of course putting it back unharmed. The other party reported three wolf-fish and a scorpion fish as well as an octopus. After nearly an hour in the water we surfaced to be retrieved by tail lift onto Tiger Lilly, a truly delightful experience when compared to climbing up a ladder or even into a RHIB. A quick turn around saw the gear stowed below benches and the bottles offloaded before we disembarked and the next wave of Sunday trippers boarded. To degas we spent a very pleasant couple of hours in the sun, eating sandwiches and setting the world to rights. 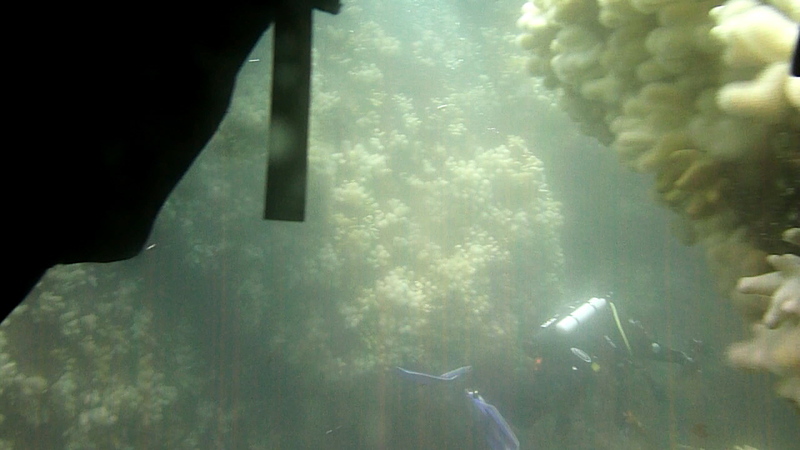 The afternoon dive was the Black Carr where we jumped into 10m and straight down against a reef to shelter from the easing swell. This time Colin joined Steve and I and we had a merry chase around the skerry where we found an old and very large anchor. conscious of the bottom time (no really!) and the contents gauge, slightly shallower depths were sort and we ascended off the reef and onto rocks above, where we found a knarley old wolf fish and gardens of anenomies and Deadman’s fingers, here we spent time will numerous tame Ballan wrasse and passing Pollack that seemed unconerned with our presence. 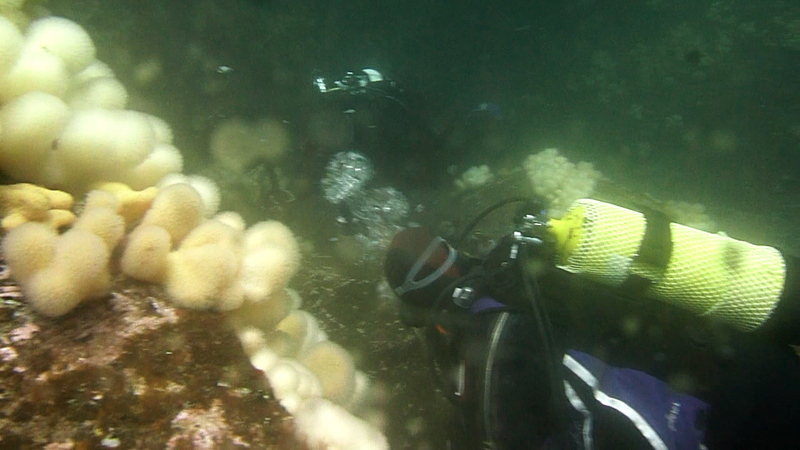 Finally it came time to ascend and we slowily drifted upwards over an amphitheatre covered in life through a cloud of jelly fish to end what was a remarkable days diving. Tea and cakes in the harbour cafe and a final chinwag in the sun before we set off home after a very easy and incident free day. Another great day out with the club!